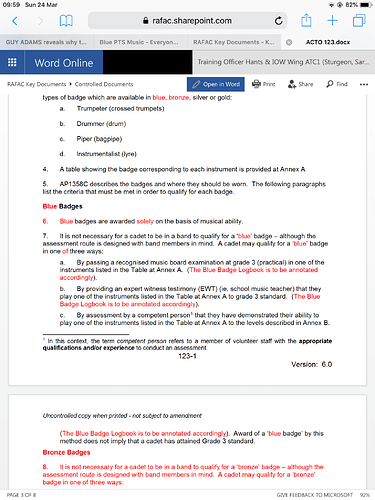 I am a JNCO on my squadron who was asked on the last parade night by a cadet who has filled up his brassard (minus parachuting and road marching) except from blue music, which is also my status right now, and is desperate to get blue music without shelling out a tonne on instruments and lessons. 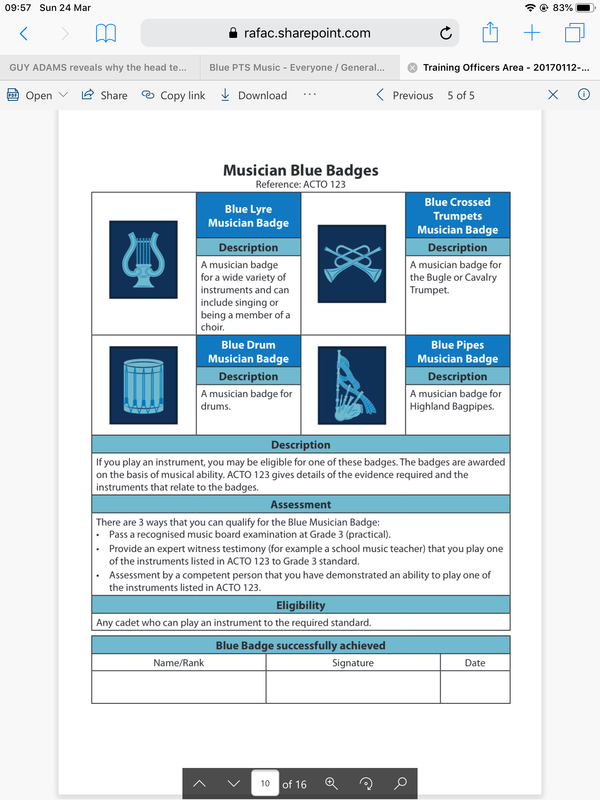 Has anyone got a cheap way/instrument to get to a grade 3 to get blue PTS. Nope. There isnt really a way. You can buy the self train books but they will never really teach you the technique side of it. Grade 3 for blue badge? Wow, is that the hardest of the lot to get? 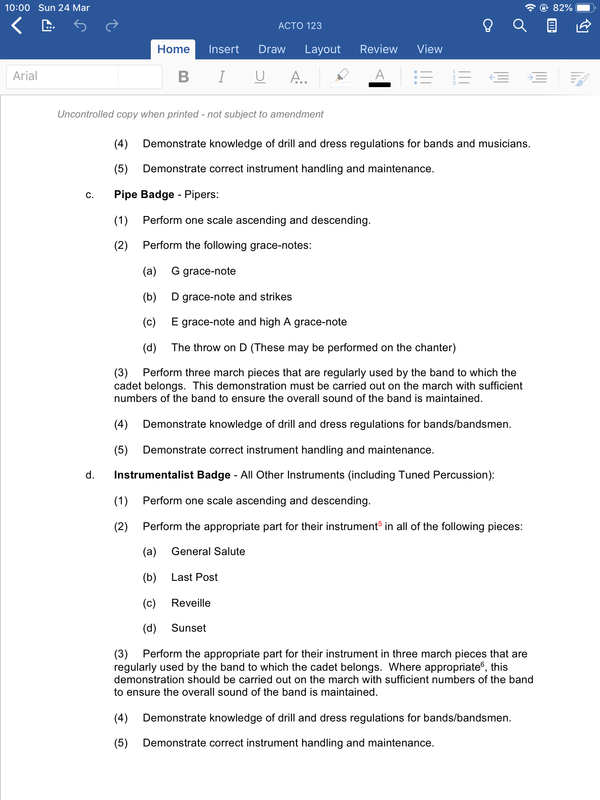 Music grading goes up to 8, but 3 is regarded as a minimum for a lot of youth orchestral work. If you are keen many councils will offer music instruction in school time which leads to grading exams, you have to pay for it and the exams, although you can hire the instrument through the council. Or you can see if there is a local cadet band, but this will mean additional nights for practice and days for competitions. 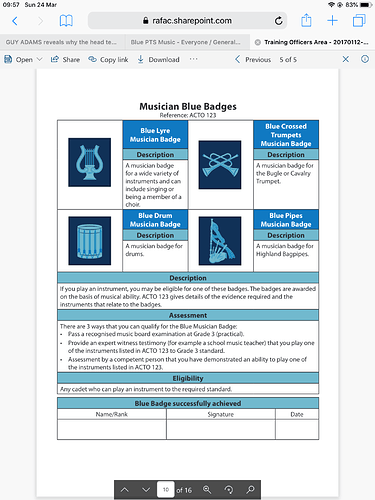 However the musicianship you achieve will be limited to the person running the band, but if all you want is a badge that won’t matter. You don’t necessarily have to get a Grade 3. But there is a requirement to be at that standard, as evidenced by someone that knows. 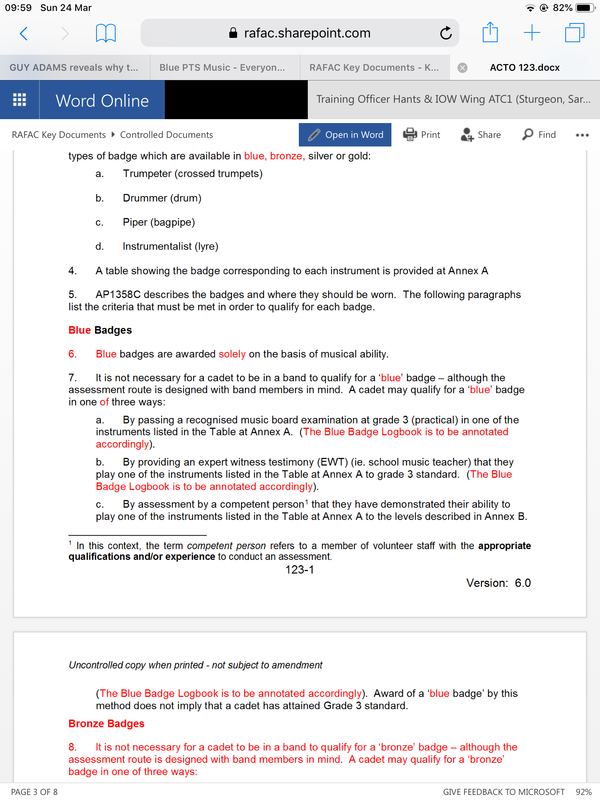 If it’s any help, Grade 4 is (approximately) the standard for instrumental performance at GCSE music, so G3 for blue isn’t unreasonable. Speaking as a music teacher, it’s not a very high standard; but high enough for you to keep up in a band and not get lost. 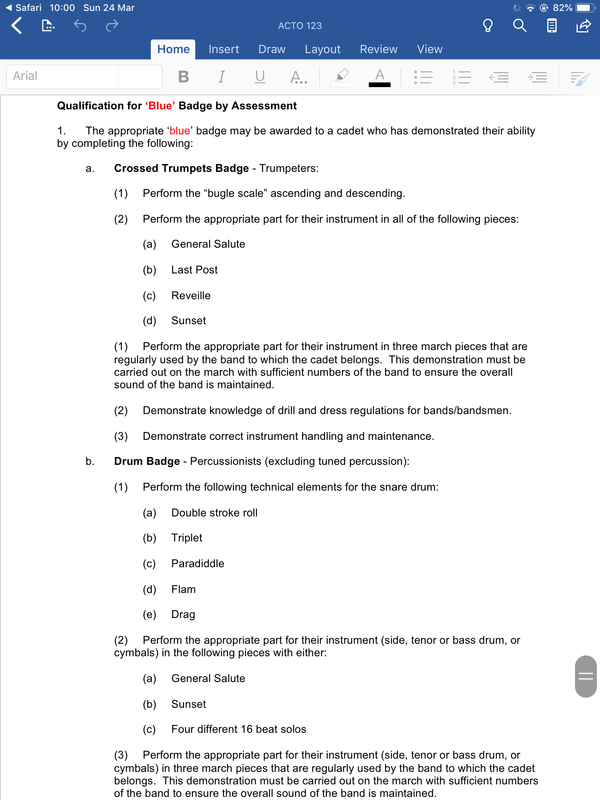 Does anyone have any particular instruments that are cheap or easy to start and get to grade 3 as we don’t have a Sqn band. it depends how much work you are willing to put in I suppose. 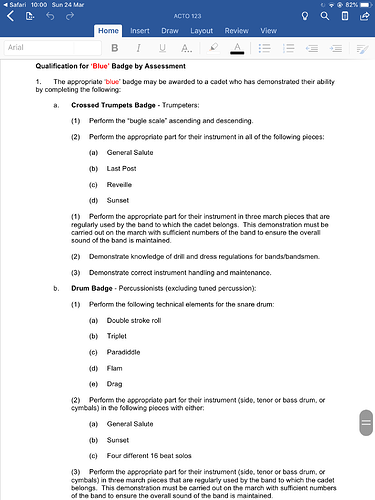 If music exams follow the same lines as when our youngest daughter was leaning the clarinet, there are fixed time for the exams to allow for progression and lots practicing exam pieces and learning ‘techniques’ in between times. I suppose this doesn’t apply to cadet bands, where if you can get tune out you’ll get the badge.